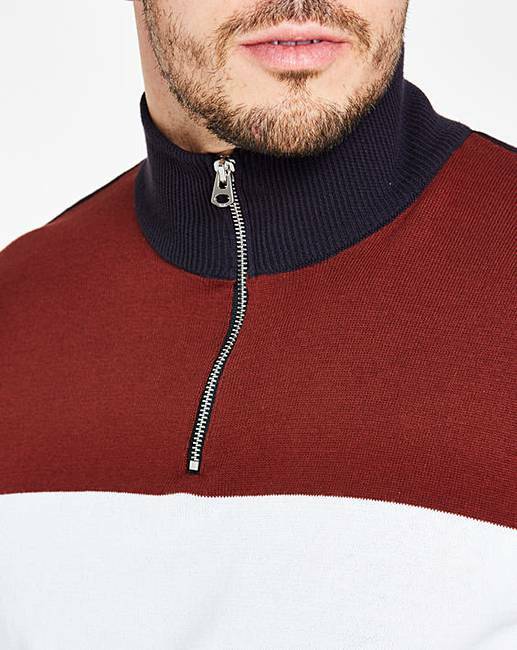 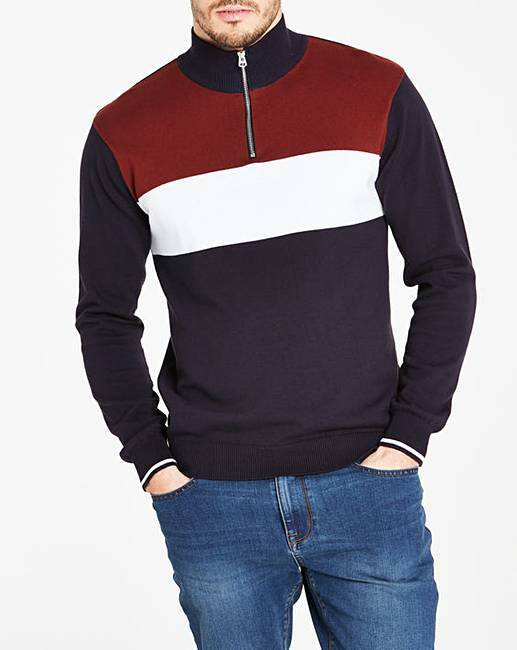 The zip-neck sports knit from Jacamo is on-trend this season. 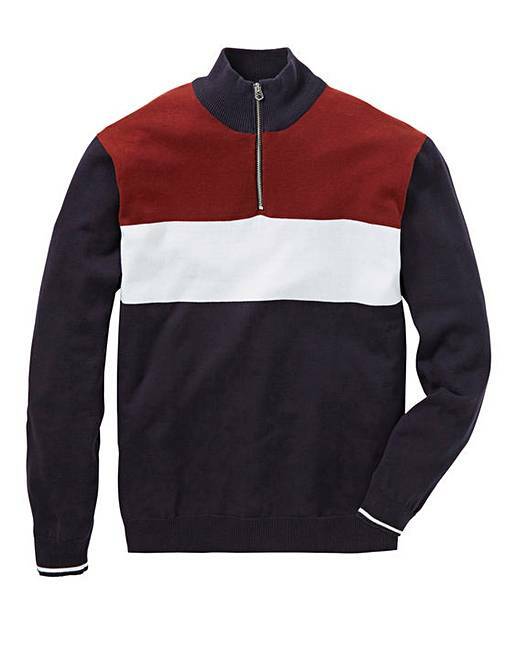 Featuring a quarter zip funnel neck, contrast paneling to chest and ribbed cuff detail. 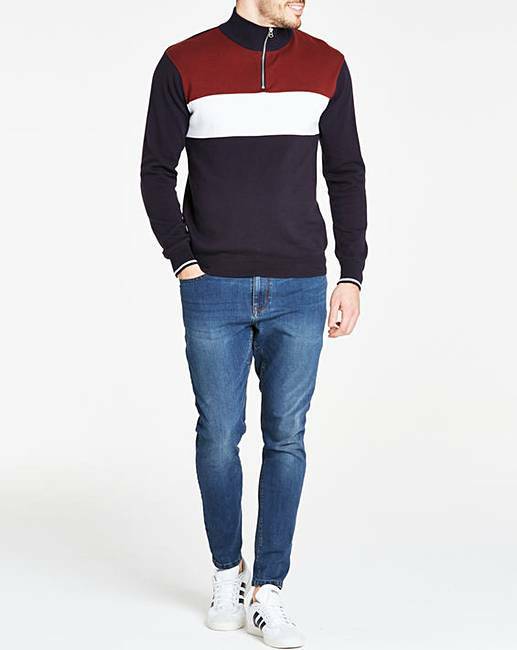 Wear with dark jeans and trainers to complete the look.